HydraPak Reversible Elite Reservoir. In February, I picked up a Ultimate Direction SJ Ultra Vest 2.0 and really like it. In March, after trying several bottle options on the vest, I picked up and really liked HydraPak’s SoftFlask, as it solved the “sloshing” effect encountered with standard bottles and was certainly more comfortable when used in the vest since they conform to my body. This month, I picked up a 2L Reservoir to enable myself to run unsupported for upwards of 6 hours or more (depending upon the climate.) I wore the reservoir quite a bit on my weekly runs before carrying it on a longer, trail run…just to make sure about fit and ease into carrying the weight on my back. Overall, I really like it and carried it on my 4-hour long run with no issues. I didn’t really notice any adverse affect on my posture or any soreness after my run – probably because I had carried it enough to prepare myself/body. One thing I did notice was that the fluid heats up based on body temp. When carrying plain water, it can result in a pretty bad taste. When carrying water with Tailwind, the taste was actually great. I probably won’t use/carry this on all runs, but will work it in occasionally to make sure I am still OK with the added weight on the vest and my back. April 2014: The build to Big Sur. 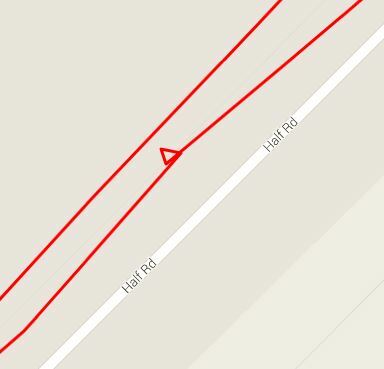 Yep, that’s what April was all about – the final stretch in training for marathon number four. It was a great month of training. Some quality runs, though none completed on trails. 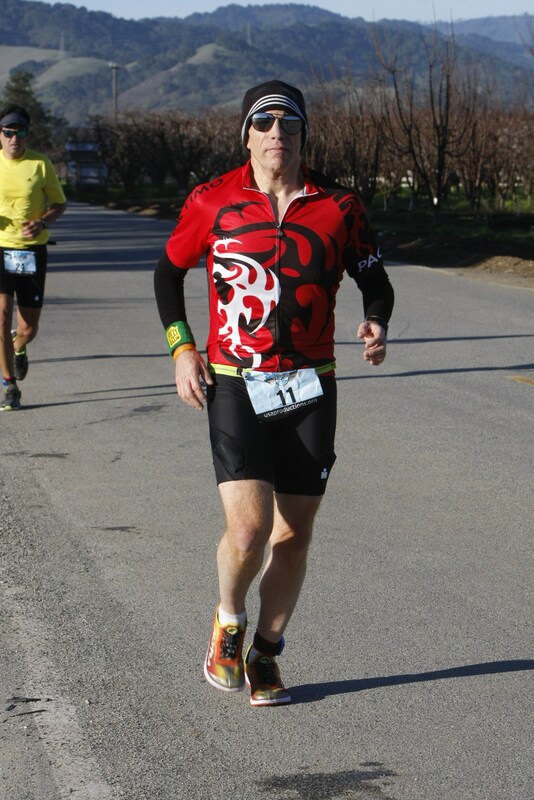 Based on my Big Sur race, and in reviewing my April training, I need to do more hill workouts. I also finalized my 2014 race schedule. With a theme of “Let’s take it to the next level”, it definitely will be a solid 2014 and, for certain, a pretty challenging second half. Woohoo! I did have a quick biz trip to San Diego. I worked in two runs while there: a 21-miler (last 20+ before Big Sur) and a 10-miler. Both were great! HIGH: Ran my fourth marathon and finished with a new PR by 18 seconds. LOW: Not really a LOW; but, based on Big Sur, I discovered that my training needs to include more hill work. Altra The One shoes. With the mileage on my Altra 3-Sums getting up there, I picked up a pair of their The One lightweight running shoes. They actually are similar to the triathlon-focused 3-Sum and only a half ounce heavier. I really like The Ones as they do fit similarly to the 3-Sum; however, they seem to be cut slightly different which results in a weird gathering of the upper when I lace them. I still like the way the feel and run. These are the shoes I wore for Big Sur and my feet felt great at the finish. The one change I did make was switching out the stock laces with some Lock Laces that I got free a while back. The stock laces were too long and I liked the speed laces on the 3-Sum version. Altra just came out with a new version of this shoe that is getting rave reviews. I am at 156 miles in these right now, so I will definitely get a pair of The One2 to have waiting in the wings. I seem to have switched to mostly Altra shoes at this point, using their Lone Peak 1.5 for trail, the Instinct 1.5 for general training, and the 3-Sum and The One for training and races. Altra has also recently come out with some maximalist shoes that I may try at some point, since I really like the zero-drop/wide toe box aspects of their design. Lock Laces. See above. Like them and may use the extra pair I have on my Altra Instinct 1.5s. Tailwind Nutrition. This is a quick take on this, as I plan to write a review post about Trailwind at some point. I had been reading about Tailwind on Twitter and Facebook a lot and decided to give it a try, looking at using it instead of my usual gels, salt tabs, and electrolyte drink mix for Big Sur and beyond, if it worked out. This stuff worked as advertised. I didn’t miss the gels, salt tabs, and electrolyte drink combo at all. In fact, even though I didn’t really have stomach issues with the gels, salt tabs, and electrolyte drink combo, I always seemed to have mild diarrhea after a long run or race distances over 13.1 (since I would ingest more quantities.) I think my stomach just couldn’t handle the combo, though the result was quite a bit milder than some I’ve read about who have switched to Tailwind. I really like the mild taste (Mandarin Orange is my fav) and it dissolves very fast. When I did my 21-miler in San Diego and again with Big Sur, I had absolutely no stomach issues and felt fueled sufficiently. The biggest thing was that I didn’t miss then gels, salt tabs, and electrolyte drink combo at all, which was a concern. I was nervous about not taking the salt tabs, as the have been good at controlling/minimizing/preventing cramping in my calves; but with Tailwind, I had no cramping on the 21-miler or on Big Sur. Bottom line, this is a really great product, with a personable owner – they include a note in each shipment and even write your name on the packaging, just for that personal touch. 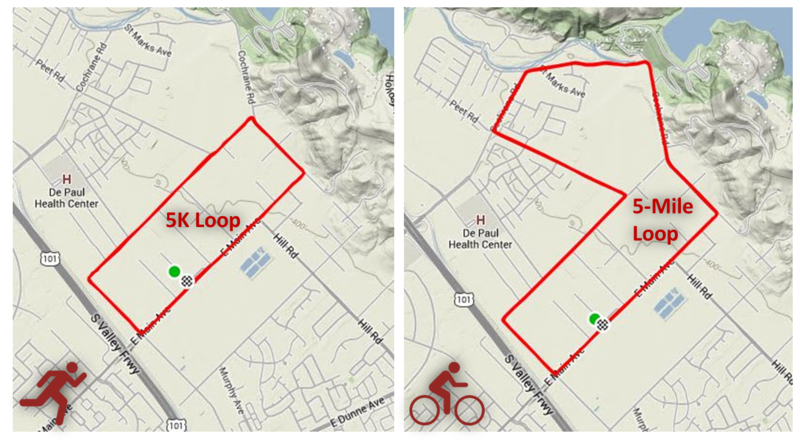 More to follow about my use of Tailwind in a subsequent post – probably after my June 50K. The North Face Better Than Naked Long Haul Shorts. My utmost, go to, favorite running shorts have been out of production for a while now: ASICS’ 55 Running Short. I love having 5 pockets! I have a good supply of them for training, even a few stashed for the future, but have been looking for an alternative short for a while. I picked up a pair of TNF Long Hauls and liked them, though they did seem to cause some light chaffing on my left thigh because of a seam on the inner liner – nothing that some Glide couldn’t combat though. They wear well and the pockets are great. If I didn’t have a good supply of the ASICSs, I’d consider working these in, though probably only on long runs and races – they are pretty pricey. 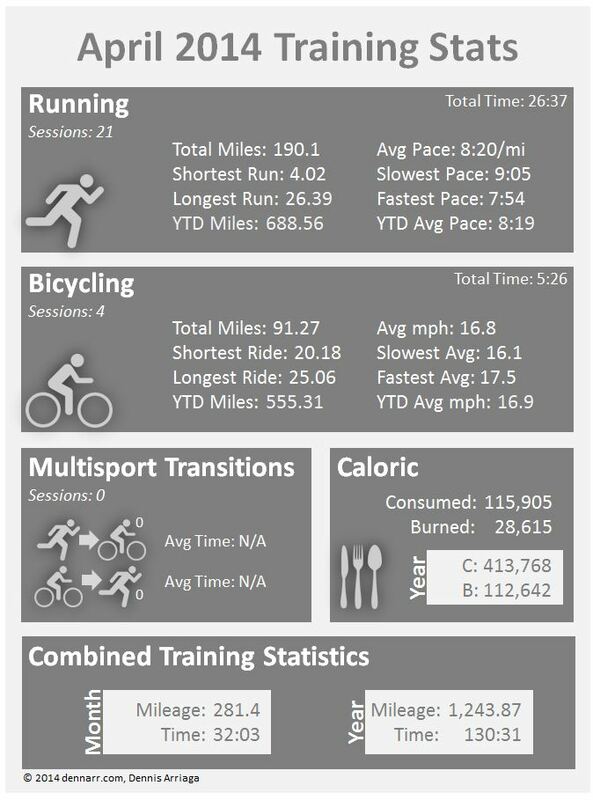 March 2014: Completed my first multi-sport and have now returned to a run-focused training plan/schedule. 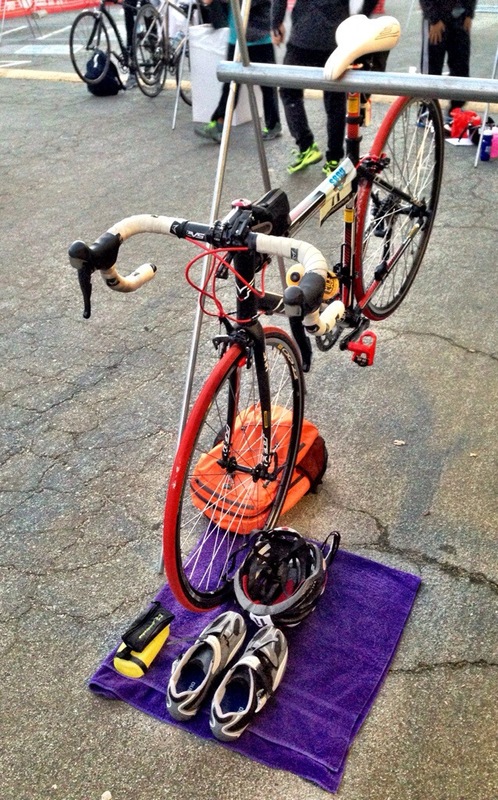 Yep, I can now say I have tried multi-sport – a duathlon, to be specific. Not just “tried,” I’m hooked…though I am not planning on doing any others in 2014. I thought about doing others this year; but, at this point, I have too many other running-focused goals set for 2014 to insert training for duathlons and definitely don’t have time for triathlon training. 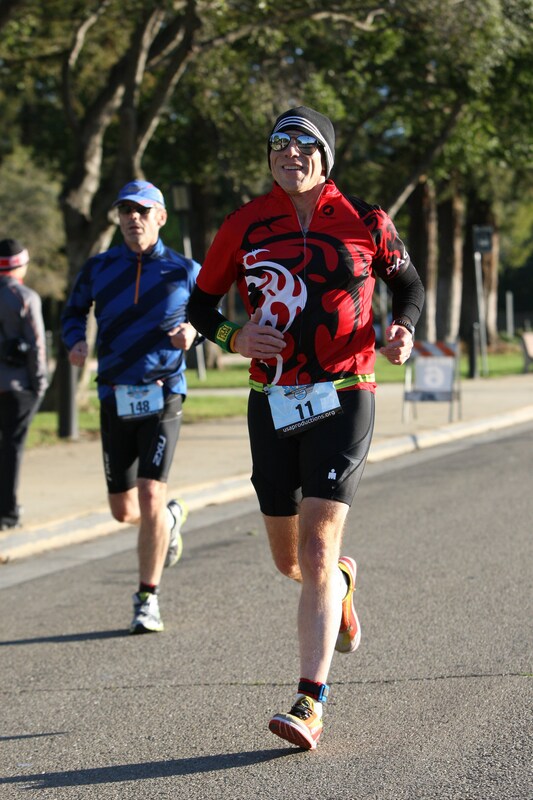 I will certainly be back for the 2015 South Bay DU and possibly give triathlon a go. This month, I also decided on the rest of my 2014 schedule. I’ll share that in a subsequent post, but it’s gonna be a fun and challenging 2014! HIGH: First multisport! More to follow for sure! 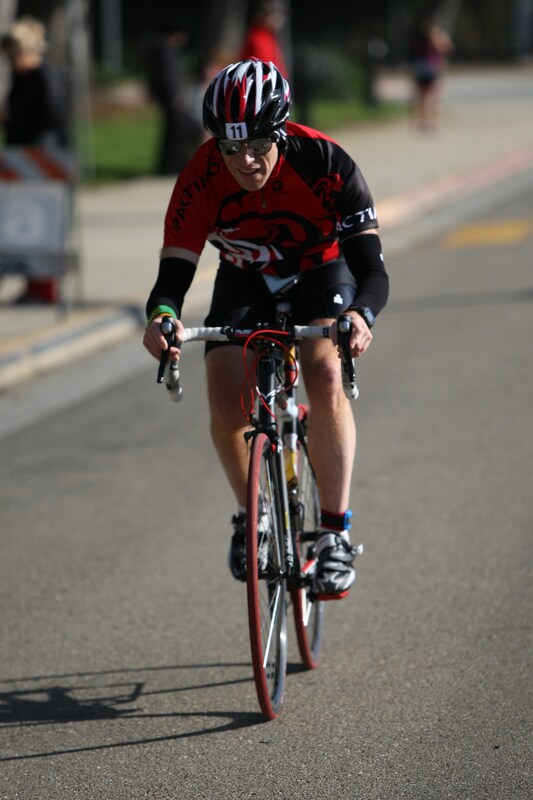 LOW: Took a spill/tip on my bike, which bothered me for a few weeks and affected my run on the Livermore Half Marathon. HydraPak Softflask. Last month, I picked up a Ultimate Direction SJ Ultra Vest 2.0 and really like it. The stock UD bottles are OK, but I’d read where people have used a few alternatives: whether other brands of bottles or soft/bladder-type bottles. I gave my 20 oz. Amphipod bottles a try on a run and liked them better than the UD stock ones – mainly because they lay flat against my chest. I decided to give the Softflasks a try and picked up a pair at REI with my annual dividend credit. The Softflask’s capacity is less than the stock UD bottles (I went with the 500ML size since they would fit better in the vest;) but, since most of my runs/races are supported, that should not be an issue. I actually like the softflasks best, though it took a bit to get used to them on the vest and how to place them in the vest pouches as I drink liquid. They solve the “sloshing” aspect when compared with standard bottles, but they still make a rubbing noise on the vest as you move. That wasn’t a huge deal and one that is solved by cinching the bottle tighter in the vest pouch. They are certainly more comfortable when used on the vest since they conform to my body. More to follow on them as I use them during my longer training runs.